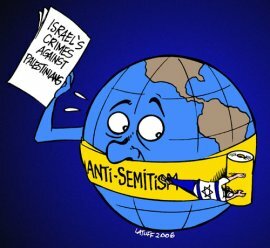 Following revelations last week that Zionist lobbies are feeding mainstream British media, it has now emerged that they are also meddling in the book and music industry of the UK to silence anti-Zionist voices. Last week the British media carried a report that the news outlets including BBC, Sky News and Financial Times have “changed their narrative” to meet the Zionist regime's demands on the request of pro-Israeli lobbying group, Britain Israel Communications and Research Centre (BICOM). Now the outspoken anti-Zionist writers and instrumentalist, Gilad Atzmon, says Britain's “Zio-fascists” have been trying to suppress his voice through attempted blocking of his upcoming book title, "The Wandering Who? A Study of Jewish Identity Politics", along with his music. He said that the Zionist paper the Jewish Chronicle (JC) has joined forces with others to suppress “openness, pluralism, freedom of expression and artistic freedom” in Britain. “Here in Britain, Jewish nationalist lobbies are engaged in several kinds of repressive behaviour. Their practices include bullying, harassment, disinformation and smear campaigns,” Atzmon said. “The JC now appear to be launching an attack on music. Together with the Board of Deputies of British Jews and other Jewish groups, they attempted to put pressure on the British Arts Council to withdraw its funding from a music festival at which I am playing,” he added. Atzmon also drew a similarity between the political landscape the Zionists are pushing Britain toward, and the Nazi Germany. In Nazi Germany, most forms of modern art were banned and only those with a focus on racial purity, militarism and obedience were allowed to persist. He added that the call to the Arts Council has failed yet he warned that the fascist attitude remains as a threat to British cultural institutions.